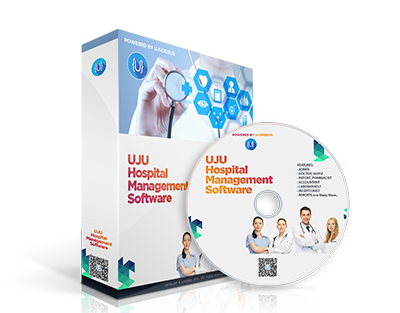 UJU Hospital Management Software is a is easy to use hospital management ERP software from Ujudebug to enable you to take as much control as possible over all aspects of the Hospital, Clinic, Diagnostic center, Medical institutes. The IT system has revolutionised the field of medicine. In this fast-paced world of medicine, it is a daunting task to manage a multi-speciality hospital. A hospital management system (HMS) is a computer or web based system that facilitates managing the functioning of the hospital or any medical set up. 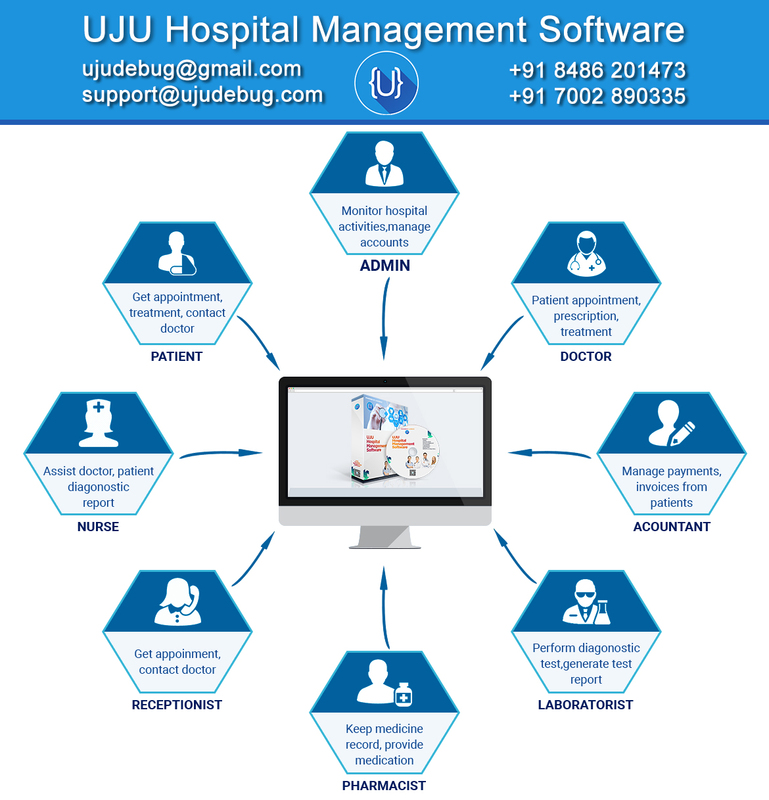 This hospital management system or software (UJU Hospital Management) will help in making the whole functioning paperless. It integrates all the information regarding patients, doctors, staff, hospital administrative details etc. into one software. It has sections for various professionals that make up a hospital. Doctors section includes the list of the doctors and their schedules. It also includes doctors’ emergency numbers. The doctor can check his schedule and that of other doctors too. This helps a doctor to edit his schedule accordingly. New patients can be registered in the system. An electronic medical record system is in-built which stores all the basic and medical details of the patient. One can also add a feature to store photos of the patients as identity proof which can also help in medico-legal cases of false identities or fraud. Using UJU Hospital Management Software one can quickly check the availability of rooms/beds so that the receptionist can adjust transfer of patients from one ward to another or allot the bed to the new patient. This data is constantly updated to keep a track of discharged patients. This section also includes the detailed schedule of the operation theatres. This helps the receptionist or the nurses to know which theatres are vacant to slot other surgeries. UJU Hospital Management Software also includes names and timings of the nurses and ward boys on duty with their respective ward numbers. The instructions given to the nurse for each patient are entered in the system. A separate automated section is meant for billing purposes. UJU Hospital Management helps to sum up all the expenses of a patient at one time and produce a complete bill at the end of the consultation or at discharge. This saves time and effort for each department as they need not produce separate. All the data in a Hospital Management System is integrated and can be analysed. This helps in creating a statistical database for the internal use of the hospital which can be submitted to the administration. This section helps the administration in summarizing the expenses of the hospital and evaluating the necessary and unnecessary expenditure. This enables you to access the system and update information from where you want, 24 hours a day. UJU HMS has many features designed to fit all Hospital, Clinic, Diagnostic center, Medical institutes or health care units. Read more about the features below and try the demo to see how UJU HMS can help you succeed.